When I mention Chula Vista Foreclosures for sale, most home buyers look at me with one or two looks. One says, “Tell me more. I love newer build foreclosures.” And the other says, “Newer build foreclosures? Not interested.” And I can understand why. 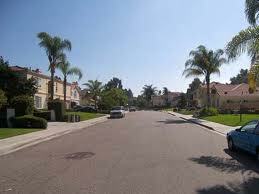 Chula Vista is a great city that certainly benefitted from the housing boom of the last two decades. Which of course, leads people to assume that the REO homes available in Chula Vista are newer builds. Well, I’m here to tell you that that line of thinking is just plain wrong. 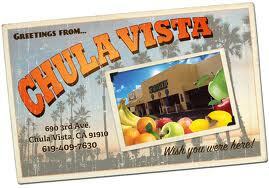 Yes, new neighborhoods sprung up all along the outskirts of Chula Vista in the last twenty years. Yes, there are a number of those homes that the former owners just couldn’t afford. However, there are older homes, in more traditional neighborhoods that are on the foreclosure market as well. One of the biggest problems for some home buyers looking to buy a foreclosure in Chula Vista is the plot size for the newer builds. Well, for these older foreclosures that’s not a problem. There’s plenty of room to spread your wings in these yards and you don’t feel like your neighbors are right on top of you. Another issue that comes up with some buyers is the build themselves. Newer homes certainly have a number of critics when it comes to the way these homes were built. The older homes just plain feel sturdier. Even stepping through the door of these older builds you can sense the workmanship and the care that was put into every inch of the home. And that kind of feeling is important, especially if you’re willing to go through the tedious process of buying a REO in Chula Vista. Now, I don’t want to scare off any buyers looking to buy a newer build foreclosure in Chula Vista. Far from it. There’s just an aesthetic that some people crave from a home. If you’re a modern buyer, a large yard and privacy may not be on the top of your wish list. In which, case, the newer foreclosures are right up your alley. Buying a foreclosure is not easy. Buying any home for that matter is full of mystery. But with OpenOffer.com on your side that mystery becomes very clear, very fast. If you’re looking to buy a foreclosure, either old or new, you should definitely be informed. OpenOffer.com can keep you informed.